Matt Taberner has committed to the club until the end of season 2019. Fremantle have secured emerging forward Matt Taberner for another two years, with the 24-year-old agreeing to terms to stay at Freo until the end of season 2019. 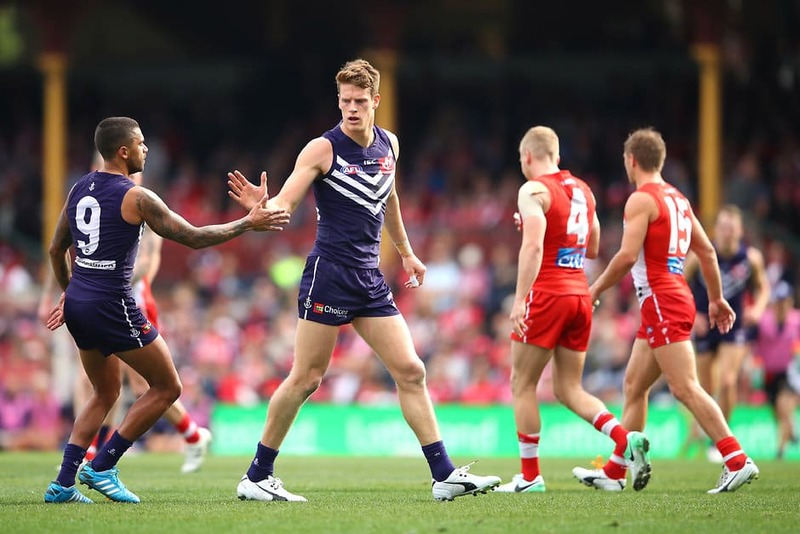 Taberner played eight games for Freo in 2017, his standout being in round seven against Essendon where the forward kicked four goals and took nine marks. He also played a key part in Peel Thunder’s Grand Final success, kicking eight goals in three games and dominating the Peel forward line throughout their 2017 finals series. In the WAFL this year, Taberner kicked 41 goals from 16 games to finish ninth on the competition's goalkicking table. The forward has called Perth home for the past five years and said there wasn’t anywhere else he wanted to be. “I’m settled in Perth and I’m looking forward to playing for at least a few more years with this playing group,” Taberner said. Taberner said learning from some of the club leaders and development coaches would put him in good stead over the next two years and is excited about the opportunity to play at the Perth Stadium. “We have lots of good leaders and role models at the club and I’ll work really closely with David Hale and Brett Guerra to develop my footy,” Taberner said. “I’ve learnt from the more experienced players like Nathan Fyfe, David Mundy and Aaron Sandilands, they are really strong leaders. General manager of list management Brad Lloyd said the club was pleased with Taberner’s development and is optimistic about his future. “Matt is an important player on our list and is a developing forward who continues to grow every year,” Lloyd said. “He had some strong performances throughout the 2017 season and played some outstanding football at Peel Thunder.